David Cuthbert (AKA; Qian Jihong, Mac) was born in Altona, Victoria 1972. After a lengthy and successful career in Taekwondo (achieving black belt ranking), David commenced the study of Chinese Boxing in the early 90's. His formidable kicking skills, flexibility, speed and timing transferred readily to the practice of Chang Quan. Training alongside long-time friend Brendan Tunks, David met and began to study the art of Tanglang Quan (with Tunks and Ki Lam) under Wang Xiaohua in 1992. David trained intensively under Wang before travelling to China and furthering his studies with the late Kang Zhiqiang, continuing to this day with his brother Brendan Tunks. He has also studied extensively under former Tianjin Wushu team coach, Liu Jinju and is competent in several styles of boxing including; Zui Quan, Nan Quan and Tongbei. David successfully represented the Australian Tanglang Quan She team at the China, Qingdao International Wushu Championships in 2000, achieving 4th place ranking in Mantis Boxing. He has since gone on the win bronze, silver and gold medals in Australian national martial arts championships and gold at the 2012 Qingdao Wushu Championships.  A lifelong devotee of martial arts, Cuthbert is a founding member, current Vice-President and senior coach of the Mantis Boxing Society.